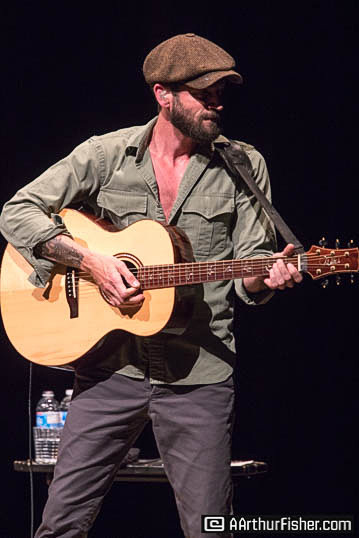 It was a rare, stormy, and balmy late summer night in Santa Barbara when Ray LaMontagne stopped by The Arlington Theatre as part of his “Just Passing Through” acoustic tour. 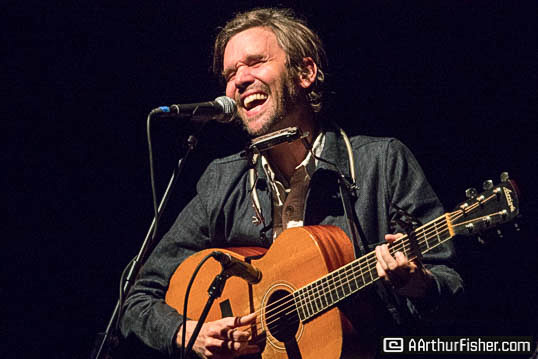 Joined on stage by John Stirratt of Wilco (a band LaMontagne jokingly described as “not too shabby”) the duo treated the Sunday night crowd to over two hours of music spanning LaMontagne’s career. 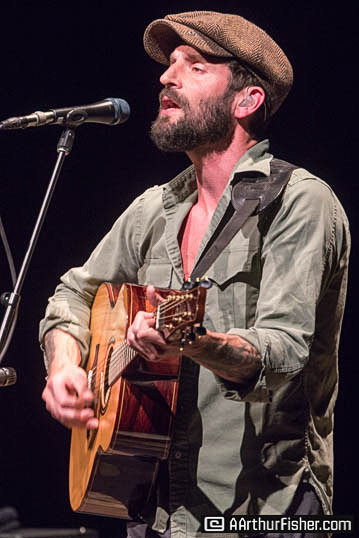 LaMontagne’s show was no fuss. His face was barely visible, shadowed under his newsie cap and a bright white light that shone down to a dark stage. 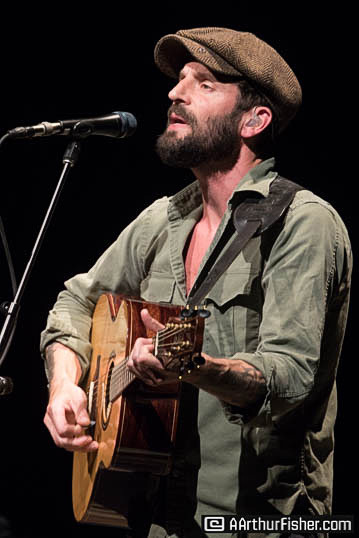 From the moment LaMontagne began to sing until his very last note, the audience was held captive by his voice. 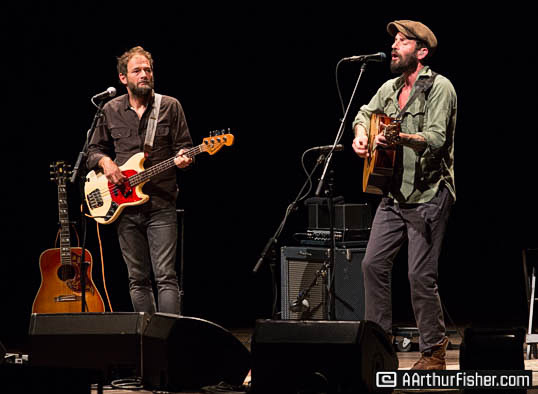 Sometimes soft and delicate, other times snarly and full of rasp, LaMontagne’s voice was as powerful an instrument as any of the acoustic guitars surrounding him and Stirratt on stage. 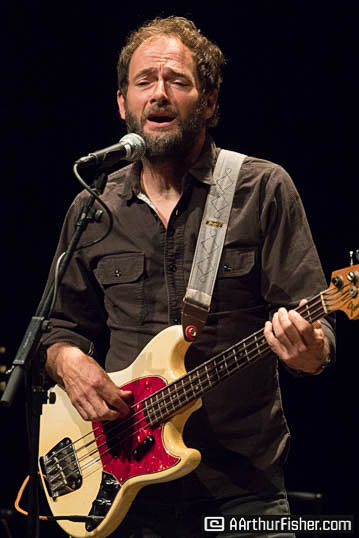 The crowd was treated to some of LaMontagne’s hits like “Beg, Steal or Borrow” and possibly his most famous song to date, “Trouble.” He also threw in the well-known “New York City’s Killing Me,” the delicate and heartbreaking songs “Sarah,” and “Are We Really Through?” Plus the upbeat title track from Lamontange’s 2014 album, “Supernova” among others. 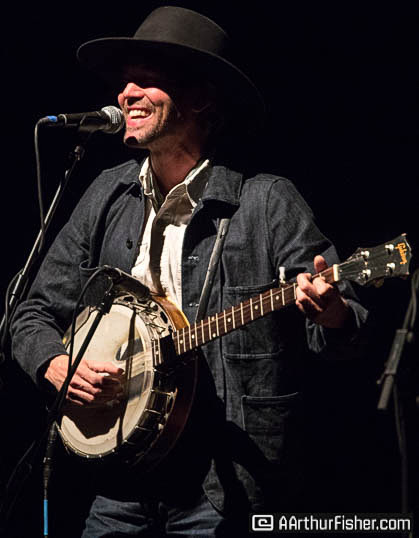 There was a noticeable excitement in the crowd when he performed “Ojai,” a song about the small inland town 45 minutes south of Santa Barbara. The crowd also got to hear a new song from LaMontagne’s forthcoming album. 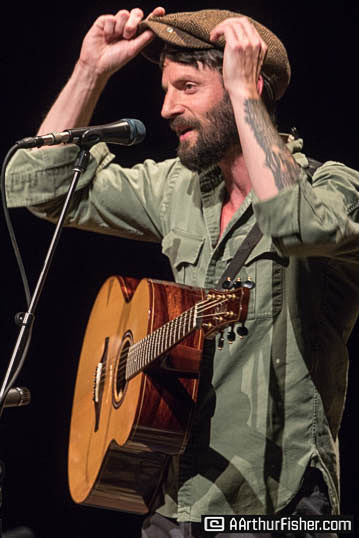 Before playing it, LaMontagne noted he NEVER performs new songs, but he was willing to play one for the crowd at the Arlington Theatre. As soon as the song was over, an excited audience member shouted, “Ray, that was beautiful!” The crowd agreed. 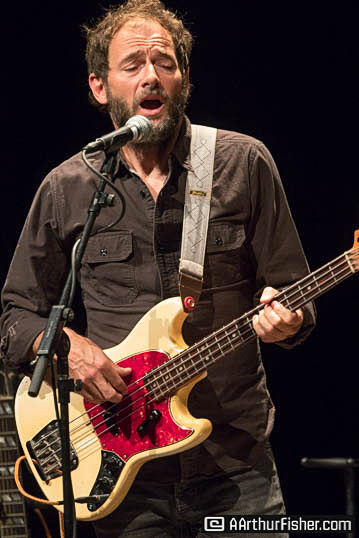 The song was an exciting preview of LaMontagne’s forthcoming album which he worked on over the summer with members of My Morning Jacket and Wilco, among others. 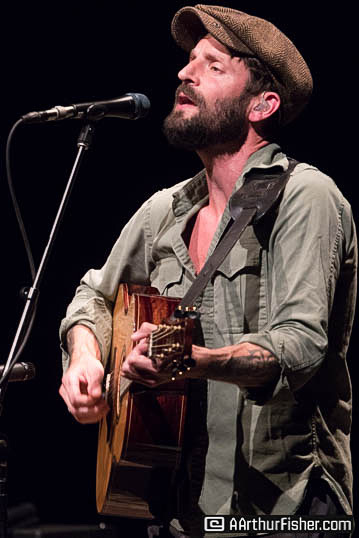 It was easy to forget that there was anyone else in the room besides LaMontagne and Stirratt; the show a poignant and intimate experience despite the crowd of nearly 2,000. 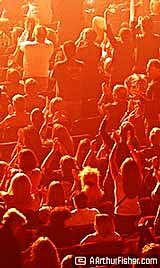 LaMontange, often considered shy and reclusive, but also known to scold his audience members for talking during his performances (as he did at his show at The Santa Barbara bowl in 2011) poked fun at himself and his reputation. But there was no scolding Sunday night as LaMontagne mentioned on more than one occasion how happy he was to be in Santa Barbara. 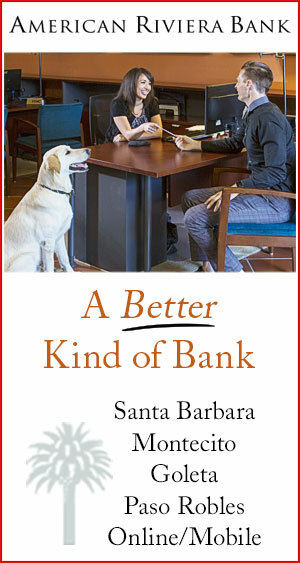 And Santa Barbara was happy to host him. There were plenty of song requests being shouted between songs, but mostly the audience commented on just how beautiful the music was. And it was. The music. His voice. The thunderstorm outside. 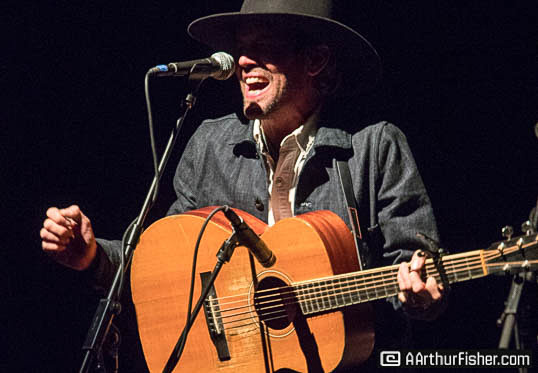 All made for a rare and beautiful show in Santa Barbara.